It’s been a day since Bloomberg’s Eli Lake reported allegations that former national-security adviser Susan Rice asked to “unmask” the identities of certain Trump transition officials captured in intelligence reports, and the right is calling for her head. This is the story that was leaked by White House officials to House Intelligence Committee chair Devin Nunes, you’ll recall. The unmasked Trump people weren’t intelligence targets themselves, but were talking to foreign officials who were. In Lake’s telling, it was Rice who allegedly asked intelligence-agency leaders to reveal the names, which are normally “masked” to protect US citizens caught in foreign-intelligence gathering. Senator Rand Paul claimed Lake had identified the “smoking gun” that validated Donald Trump’s claims that the Obama administration was “spying on” him. It’s like tweeting Pepe the frog. Oh wait, young Donald already did that. So now, a report that originated in the sewers of the alt-right with a Pizzagate conspirator who believes in “white genocide” is being widely propagated on the right, and investigated by mainstream media outlets, who are mostly debunking it, to their credit. The problem is the right’s affection for fake news, but also for racism and sexism. 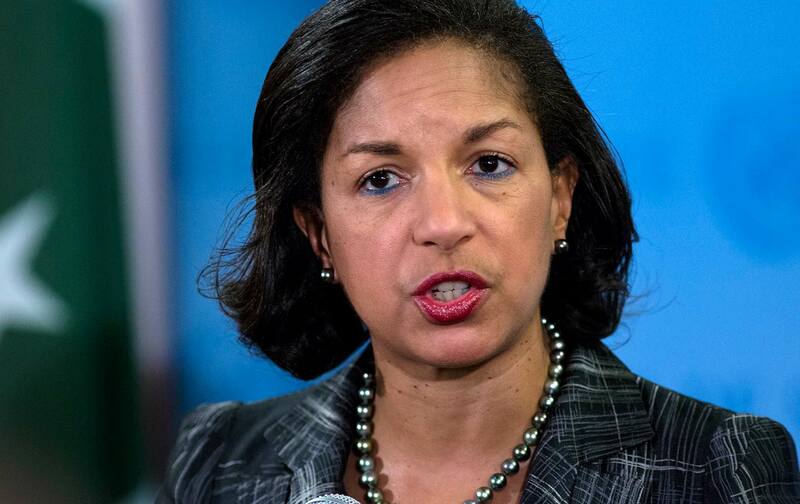 The mere person of Susan Rice has always engaged the right; she’s long been depicted as incompetent, as a liar, and now, as a purveyor of disease. “Typhoid Mary” wasn’t black, but an Irish immigrant, the next on the totem pole back then (though Mary Mallon did indeed spread the disease; the charge against Rice is false and offensive). “Susan Rice is radioactive to the conservative Republican base,” MSNBC commentator Charlie Sykes admitted Tuesday, adding that she is the perfect distraction for Trump from troublesome allegations that his campaign “coordinated” with Russian government officials to defeat Clinton. It’s not hard to understand why Susan Rice galls the GOP base; let’s hope the media recognizes this as the distraction it is from the real story of Trump and Russia.